What is Spinal Cord Modulation/Stimulation? People who do not receive any relief from back surgery or other treatments, Spinal Cord Modulation/Stimulation is recommended to them. 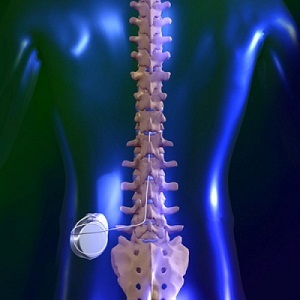 Almost 14000 patients undergo spinal cord Modulation/Stimulation implant every year. Spinal cord Modulation/Stimulation is a procedure that delivers low-level electrical signals to the spinal cord or to specific nerves. It blocks nerve activity in a non-medicinal way so that it could minimize the sensation of pain reaching the brain. • Refractory Angina, includes chest pain, shortness of breath and fatigue. How is a Spinal Cord Modulation/Stimulation actually performs? After applying local anesthesia to the injection site, patient is sedated. The doctor inserts a hollow needle into the area around the spinal canal, which is called epidural space, with the help of fluoroscopy. This needle consists of thin, insulated wires with the attached electrical contacts. At the part of the lamina, a small bone which covers back of the spinal cord may be removed to allow room for placement of the permanent leads with the hollow needle. Permanent leads are implanted. After awakening of patient, doctor and patient together ensure the optimal placement of electrodes. 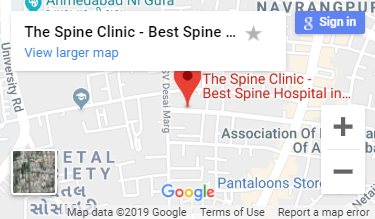 Best Spine Surgeon in Ahmedabad covers the painful area completely. The leads are fixed and the patient is sedated again. A small incision is made where generator to be placed. The generator is implanted under the skin, usually in the abdomen, upper buttocks or upper chest. Placing generator is a big consideration and the doctor usually asks about the location before the procedure, as if a person usually sleeps on his/her right side may prefer the generator located on the left. Wires are tunnelled from leads with a generator and connected, enables the current to flow when the controller is turned on later. Doctor closes the incision . What should i expect after Spinal Cord Modulation/Stimulation? An initial recovery period can be painful after spinal cord Modulation/Stimulation. Light activities can be resumed after two to three weeks but complete recovery may take almost two months. Certain physical activities keep stopped or limited by the doctors just to avoid movement of leads. Some patients feel a small bump where a generator is implanted. Some medications may be used for after surgery pain. Who should not have Spinal Cord Modulation/Stimulation procedure? Spinal cord Modulation/Stimulation is not recommended to everyone by doctors, this kind of therapies are not recommended who have systematic infection or infection at the place where the device would be implanted. Patients should avoid this procedure, who have severe depression or other mental conditions which could enhance pain. Patients, who have untreated bleeding disorders and drug addiction issues, should also avoid Spinal Cord Modulation/Stimulation procedure.